Do you know that you can add different stickers in photos while uploading it on Facebook? Facebook allows users to do this from mobile apps and even from web. But I guess, you haven’t notice this yet. In this article, I will show you how to add stickers in photos while sharing on Facebook. Open Facebook and login in your account. Now upload a photo to share on your wall, but don’t click on post button. Just select and wait for it to upload. Once, the upload is finished, it will be ready to post. Now hover the image and you will see two icons on photos. Icon at left side it to tag friends on photo. Icon at the right side is to edit. Clicking on this brush icon will open a lighbox window with photo in full size. 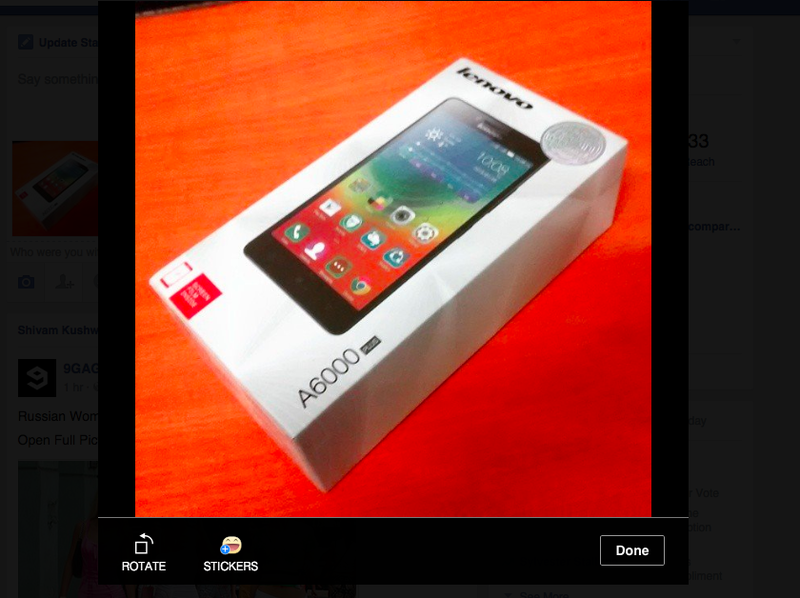 At the bottom of this box, you will see option to rotate and add stickers. Click on stickers icon to open Sticker window and select any sticker which you want to add in the photo. 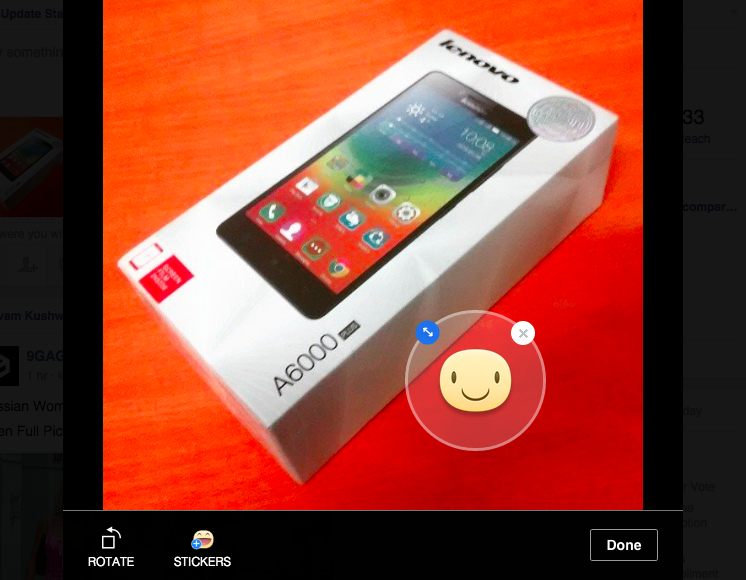 In few seconds, sticker will appear on the photo with an option to remove and an option to resize. You can also rotate the sticker by dragging the mouse on the circle around the sticker. Once you are done, click on done button and wait for it to apply changes you did on photo. Now, you can publish the photo with stickers on it. 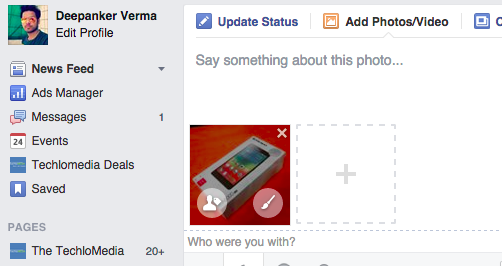 Similar options are also available on Facebook’s mobile app. You can also add text and even crop photo on mobile app. I hope, you will now easily find this option. This was simple and straigtforward. But the feature was added recently. So, there is the possibilty that you haven’t notice this new addition.